At the time of a personal injury accident, you may not be thinking clearly. The last thing on your mind may be filing a lawsuit. However, if you believe that your injury may have been caused by a product manufacturer, another person, or a third party collect evidence and take photos as soon as possible. This is because the circumstances surrounding your accident can change quickly. Memories can be unreliable which is why many courts do not accept it as the sole evidence of an accidence. This is why physical evidence is so important. Take photos of the scene of your injury before the cleanup crews comes around. Also, try to keep your evidence in a safe place. It can be easily misplaced, which will result in the inability for you to submit the information to the court should you decide to pursue a case. Doctor's reports, medical files, police reports, and other such official documents can be compelling as well. Thus, you may want to consider getting a copy of this information should the original office lose it. Collecting photos of the actual collision and area around it is important because photographs can serve as evidence of the collision. These come in handy while dealing with the insurance claim adjusters. They serve as a large asset if someone files a personal injury claimed against you due to a car accident. The photos can help determining the exact location where the accident occurred, the driving conditions that day, the position of the vehicles, the points where the vehicles collided with one another and additional information. They will help back up the statements you give to the police and to the claim adjusters. What you are trying to do is preserve evidence. It doesn’t matter what type of device or camera you have in mind, just be sure to have some sort of date and time stamp. Many smartphones offer that option. The injuries sustained during the collision. The images of the street layout, any nearby landmarks, signage, and traffic controls. Taking photos the license plates and VIN numbers of all vehicles involved. Taking photos of any internal damages. Try to take photos from all angles. It is advisable to take a wide variety of photographs. Take short ranged, medium ranged and panoramic images. Take the pictures of the other party only when you have their consent to do so. Taking pictures in an unauthorized manner can lead to trouble afterwards. Do not disturb the accident scene. Make sure before you begin collecting evidence, call 911 if someone is hurt during the accident. The Napolin Law Firm provides legal representation to those who have been injured in an accident or due to the negligence. At The Napolin Law Firm, they realize the full impact a car accident or other personal injury can have on you, your family, your friends, and your community. Physical injuries are not the only type of traumatic pain that you can experience. 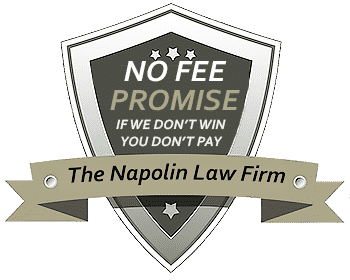 At Napolin Law Firm our lawyers have years of experience in handling your specific case type.